well the article that i read this morning suggested that there was another 170k BTC held by the trustee. if you're a creditor, wouldn't you prefer the BTC rather than the fiat equivalent of the price at the time? If they're giving fiat equivalent of the price at the time, then who keeps the profits? was the dumping of the coins a deliberate action to bring down the market? what was the motivation for this? government? opportunistic chance to buy cheaper bitcoins? Yeah on one hand it's nice to read the actual reason - but personally I was never really concerned about the viability as a result of the "crash" (which I prefer to call a correction). Whether it's this, or that, or whatever, it'll still bounce back to a new ATH soon enough. exactly, I was thinking this too. the joys of an unregulated economy. Opens the door to more blatant manipulation. That's the price we pay i guess..
...and it's easier to dump something that is stolen and not earned with hard work. And thus cause billions in loss for others. I am concerned about the people who came to crypto in excitement of that bull run and have never recovered there money. I am sure many burnt their money by selling their coins at loss. Such a mishap. You are a kind person. Thank you for voting on my reply to Acidyo. I seriously doubt that these sell orders are the reason for BTC's pullback over the last couple months. If you look at the first sell date, 12/18/17, the 24 hour volume on that date was something like $13 billion. The 2000 BTC sold would account for only about $38 million of that, putting it at about 0.3% of the volume for that day. That's nothing to sneeze at for a single seller, and it would probably put downward pressure for the instant it was happening, but it's hardly the market-moving behemoth that it seems when you hear those big numbers in the millions as compared to the billions in volume. Also if you look at the price action, it had peaked on the day before and was already on the decline when they pulled the trigger. Even the biggest sell on 1/17/18 of 8000 BTC would only amount to $69 million, accounting for only 0.4% of the $19 billion volume for that date. With this one the sell order happened near a bottom and the market continued to climb out of that bottom as it happened. It didn't pull the market down at all in that instance. Let's just face it, it was a bubble, it burst because the noobs who drove it up panic sold, and now recently crypto price action has resumed a more sane pace for a change. Don't worry though, we'll probably see some insanity in the near future. I agree for the most part, but I am not so sure that it was the noobs who panic sold that drove the market down. The small guys are playing with 100s of thousands of dollars at most, most of them much smaller amounts, as you stated there was billions of dollars of volume every day. I think Chinese NY, FUD around regulations, Scams like Bitconnect, FUD around futures and the Issues with Tether all culminated at a point where BTC was at an ATH and an attractive sell point for many early hodlers and whales. Once it started it snowballed as FUD after FUD in the news kept coming out and spooking the market lower and lower. Smart money drove the market lower and I feel many a noob got burned on the way down. Good point, but thinking on it a little more, does big money necessarily mean seasoned veteran in crypto? Just because investment bankers started to play doesn't mean they're professionals in this investment category. I mean, I've been trading stocks for over ten years, but I've only been here for a couple. Then again I didn't spook, so maybe you're right after all. Haha, that is also a good point, one idea I have tried to express to people for a long time since pondering trends and why things happen at all, in any sector, in anything at all is; there are always unfathomable amounts of ideas, outcomes, reasons, for anything to happen at all. In regards to trading, I have found many people get caught in the trap of thinking a market moves in any direction as a type of hive mind almost instantaneously. Traders, Investors, Speculators and everyone in between buy and sell for all sorts of different reasons and they buy and sell at different price points. The markets are a living, breathing beast. I think you are right, a whale might play with a few million dollars but he might not care if he loses some because it's only 2% of his wealth. People who buy at different prices will have different levels at which they are spooked, some easily, some not so. some people are willing to sell at a loss, others will never sell unless their portfolio meets their requirements for retirement, FOMOers are perhaps happy to get out at break even. The variables are incalculable. To me at least. We think it was a coordinated gov't + big bank attack, which began with listing of the futures (the anticipation of which helped prices in the Fall 2017 going into the "sell the news" moment of the futures listing). Large govts have too much vested interest in money printing to let crypto achieve trillion dollar asset values, at a trillion (even before a trillion) crypto is a REAL problem. You got that right. Martin Armstrong has even been talking about this and he's been very dismissive of crypto up to this point. We'll see if he's right that they'll succeed in shutting it down. I don't think they can. It would be too expensive at this point. Think they can, and Napster/Kazaa shutdowns (PirateBay) are the blueprint. You TECHNICALLY can't shut crypto down, but you can make it illegal activity like the US outlawed gold ownership from 1933-1972. This puts 95-99% of people "in line". The rest are (dark side of the force) outlaws, and run the risk of jailtime. So yes, a dark crypto will eventually become the backbone of black markets, but how many people can afford to run the imprisonment risk? We agree, you can't shut crypto down, but you can deter the masses from using it rather easily, and they already are starting (with the SEC crackdown on "semi-legal" exchanges). But they certainly clever in how the subterfuge it, ey? It'd only take 8k btc on Bitmex to immediately drop the market by 10%...that's 6k Gox Trustee and only 2k panic sellers. IMHO, I don't see large buyers at current prices knowing there's a Gox fire sale in the near future. Right, but that's not going to last an entire 24 hours, and total market volume was about double that of present at the peak sale of 2000 BTC, and almost triple the volume for the 8000 BTC sale. That increased volume accounts for a reduced effect. As we saw during the 8000 BTC sale, the price actually went up simultaneously. This is not to mention the fact that arbitrage will quickly absorb the differences between exchanges. Even today, you'd need 20K BTC to move the entire market that same 10%. Given the fact that we saw a drop of almost 70%, the effect of that 40k BTC on higher volumes would have been relatively small. It would move the market only 20% even at today's prices and volumes, only momentarily, and only if it was dumped all at once. I came to BTC in 2011. All I can say is "just calm down". Imagine what will happen if Satoshi’s hoard ever hits the market! That's at least a million bitcoins sitting on the sidelines. Imagine that! Imagine he loses that $10bn lawsuit against him. What if Satoshi is waiting for the last btc to be mined, maybe slowly releasing them out to the public? The last btc will never be mined. Total number tends towards 21m but never reaches it as rewards just get lower and lower. He will be dead before that happens. We will all be dead. We are 122 years away from the last bitcoin to be mined. 2140 is not soon. That last paragraph is exactly what was bothering me as I read this. Let me get this straight: they have how much and sold how much of that? It seems they have an awful lot more left than what they sold, which is a troubling thought if they have the power to do even worse damage than it appears they did in the last few months. But yes, if it was the result of this one factor, that is encouraging for the strength of the overall market among the general public. That's of course assuming they put a few years between each of these little selling sprees. Hopefully the market is a lot bigger when the next batch is sold off. I hope this is the reason for the sell-off. It has been painful the last couple of months. Perhaps today is the blow-off bottom on this bear market and we will start to see some upwards direction. It is amazing that something bankrupt for a number of years could still affect the market. What this shows is how small the crypto space truly is and how it can be easily manipulated. We just need to weather the storm and do what we can to make sure the space grows overall. Yeah I hope so too, kinda lame that only 35k BTC did all this.. my guess is some may have noticed the coins moving in time before these news hit the public and acted accordingly. The trustee even took a break from selling for a longer period at some point but the last ~25k btc brought it down all the way to $6k. It's not lame at all in my opinion. At an average of $15,000 per Bitcoin, 35k Bitcoin mean $525 million of sell. In a market where most of the Bitcoins are held for long-term and only a handful of them are traded on exchanges, 35k Bitcoins sold in big chunks can create a huge effect on the market. So it did. Otherwise too, the marketcap at any given time is not the actual USD amount invested in all the coins. It's probably less by a factor of 50 in actual value because the maretcaps are determined based on total circulating supply. The amounts shown in circulating supply is not actually circulating because most coins are stored in wallets or masternodes. We can see Steem as an example. The 251 million Steem shown as circulating are mostly frozen in Steem Power on Steemit and many are stored as liquid Steem. The amounts available for trading represents only a portion of the circulating supply. I hope you know this all better than me but I loved writing this comment as it solidified my learning. I can be wrong, of course, and I request correction in case so is the case. Lame was maybe the wrong word, I was hoping there would've been more buy pressure. Considering all other negative things that happened during that time though it might have been a combined effort to cause such a steep decline. If mt. gox dumping to pay back the users that lost all that money in 2014 is one of the causes for the massive scam Bitconnect to go down, I'm not too disappointed by what happened to the price. The attacks did seem to be coordinated and even right now, after having creating so much fud already, the attacks are still on. What happened with BitConnect is good for the the crypto market any day. I agree with your sentiments. I want to thank you for posting this. Earlier I read the headlines and thought "another bunch trying to figure out why markets moved in a given day". Yet you explained that this is a trend over a couple months. That makes it a lot clearer. As I was reading I was thinking that this explains Bitcoin but it also shows how the alt-coins still are at the mercy of the grand daddy of them all. I know many proclaim Bitcoin dead (on a weekly basis it seems) but the market tells a different story. It is still the ringleader of this circus. Any break from BTC is only temporary...everything else follows it over time. There has to be a breakout at some point of one of the other coins. They cannot be simply tied by the apron strings to BTC for ever. Its like most of the worlds currenices tied to USD. Its not healthy for the future of crypto. Well this explains a lot. I hope the Mt. Gox trustees will space their selloffs so as not to cripple the crypto market but there are so many variables in crypto that sometimes one can't say what will cause a fall in price. I don't think it was only 35k worth of BTC that caused the crash in price, as acidyo stated, Chinese NY, FUD around regulations, Scams like Bitconnect, FUD around futures and the Issues with Tether all culminated at a point where BTC was at an ATH and an attractive sell point for many hodlers. In my opinion it is great that BTC held 6k and held well above where it started at jan 2017 with all the selling that happened, all that selling is out of the market now, all the FUD is priced in and BTC held 6k and bounced to 12k doubling, it's only natural that many who bought the tops and bottoms over this wild price action will take their profits and losses or break evens as everyone has their own game and view points here. The whales are pro's at selling off under pshycological pressure. What this shows is how small the crypto space truly is and how it can be easily manipulated. People lose track of how the market cap of crypto is just a blip compared to other markets. Was listening to an alt-media podcast recently. An otherwise smart guy (might have been John Rubino?) was talking about how cryto’s “current bubble” bursting could cascade into other markets. Sheer nonsense. The crypto market is tiny compared to the silver market which is tiny compared to the gold market which is tiny compared to the equities market which is tiny compared to the bond market. ...which are tiny compared to the derivatives market. I agree completely...we are not even close to cryptocurrency affecting the traditional markets. The market cap of crypto is a rounding error in the equities market. I made a prediction based upon a 2 thousand year old technique by Vettius Valens and wrote software that calculates the mathematics of this 20 years ago. This work is what I'm most known for. I also wrote about why I don't believe in astrology (but still use it). Nature is mathematical and set theoretical and a process of differentiation and exclusion generates pressure toward negentropy that is predictable. If the pattern continues, we're in for about a year of relative weak market circumstances and then there will be a dramatic jump upward in price. Another (possible manic) peak should happen summer of 2020 to early 2021. The Nasdaq is a tic below it's all-time high, owning any FANG stock yields a 2% gain every single day, which is larger than what you'd make in risk-free US Gov't Tbills of 1-year duration. Even bitcoin almost doubled off it's early Feb bottom. Remind us again how 2018 is weak? do the planets and math distinguish between stocks and cryptocurrency? The technique gives assessments relative to the larger picture, so 'weak' is relative to what is to come, not what has been. In my opinion no such differentiaion exists except from the differentiation pressure that comes from different starting points which generates negentropy. I've been writing "why I don't believe in astrology (but still use it). Life isn't random, but is mathematical and set theoretical. We'd love to see a plot of gravitational force exerted on earth from all sources less than the moon. Think that would occupy some time, but perhaps be very fruitful. Gravity has such a huge effect on people's lives, yet we tend to ignore the small contributors such as Venus and Jupiter to name two. Wouldn't it be interesting if those two combined for a pattern of peaks and valley we could chart into the past and see if it means anything? Wow another year of weakness? That will be tough to live with. Certainly it is possible...just disappointing. Thank you for the links, I will follow them and see what you posted there. I agree that there are mathematical equations that can predict most of what takes place...especially when it comes to markets which are based upon nothing more than human behavior as it pertains to data. So you are looking for another run up to begin in early 2019? That's the pattern. However, when I say "weakness" that is very relative to the overall picture. The problem with this technique is that dollar values are impossible to pinpoint. It could be that bitcoin is considered weak in this period because it only goes up to $100K. When you stretch it out on a graph, that $100K will look small compared to what comes after (perhaps it's only $20K - $40K in 2018 and then it jumps to $700K). 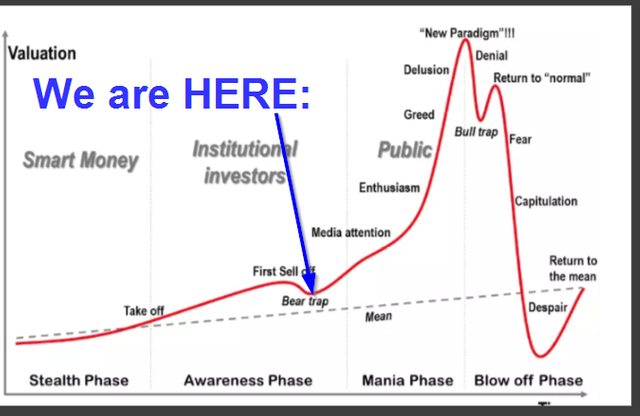 I also view that chart as being applicable to all crypto in general. Ah so your chart does not tell higher or lower, only weakness. So how does this help from the standpoint of where things are going? I understand the 15 year trend means bullishness yet how can one tell ups and downs? Is that possible or is it only just weakness? The theory is based upon something that is very anthropomorphic applied to a process that is really much more sterile. If this was the chart of a person, an astrologer would say that the reputation during this time is "idle" because the ruler of the times is in detriment and under the beams of the Sun (made invisible). The Sun is often associated with authority and in Capricorn, represents possible restrictions and regulations coming. But while the symbolism says this according to the rules, bitcoin is not a person and so it doesn't have the same sense of "katarche" (important beginning in Greek). The key to interpretation is to see it in hindsight. What the chart seems to say is that relative to what happens to crypto in the early 2020's that this period is running idle by comparison. The question is how much. It could be that bitcoin only makes it to $40K by the end of this year and that is considered "idle" because it looks flat on a graph when you compare it to prices in the early 2020's. And you feel that the chart for crypto overall mirrors that of Bitcoin....that we are going to see the real upward action in the early 2020s...and there could still be upward moves between now and then, but not as much in comparison? Is this in relation to the % that it jumps from where it starts and ends? 1k to 20k is larger than 20k to 60k? the first jump was much stronger? This actually does make sense along with many other factors ofc. This demonstrates how closely "plugged-in" crypto-enthusiasts are to the social-media/news cycle, and how much the crypto markets are influenced by short-term news events & psychological reactions to them. I believe this is largely what makes cryptos so volatile. Knowing that this is "the way it goes" in the crypto markets, it does provide great opportunities for buying dips based on short-term FUD. I also think that the somewhat slower & measured recovery of the BTC price is a good thing - more sideways movement that tests both support and resistance levels. Hopefully, this is helping to make BTC slightly more stable in the long-term. Bulls are making money, bears are making money and pigs are slaughtered! So folks it's education time! Educate yourselves about trading and crypto markets and volatility will be no problem any more. I'm just fine with it. Holes in my accounts teach me to manage my risk and use head instead of balls in trading. I realize that reasonable profits over longer period are the right thing. the sooner people will learn that lesson, the better crypto world will bee. I think that is definitively possible to manage wealth in crypto assets and they are great because wealth is private and only yours and you have full control over your property in crypto. Absolutely, coupled with Crypto being so easy to move and sell as opposed to other assets, must cause huge volatility as investors and speculators see the news, it is easy to sell almost instantly and just as easy to buy up on the dips. It's great that all of that FUD has been priced in and it bounced of the 6k region, getting no where near jan 2017 territory. some stability now in price will send some good signals to investors also as regulations come into place, creating a safer environment for big funds and whales, there is even talk of central banks considering adding small positions as well. In 2018 begining i made THIS POST at 800 Billion $ market cap to sell everything, when all the famous Crypto Channels on youtube were telling to buy them. I also posted HERE the PROOF of me selling cryptos, and then BUYING at 295 Billion $ market cap, and so on..
People start giving reasons and making judgements after things happen, rather then before things happen, like the majority.. Thats why i only listen, most of the times i do opposite. 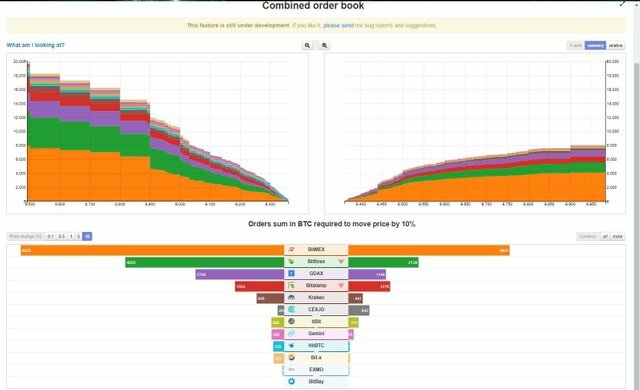 Despite the fact that they sold such an quantity obviously they had big profits even when the price was to the bottom as they must have bought BTC much cheaper obviously.What they do is spread panic and rebuy at lower prices.All this is a game...Who says they can't buy them all back and play the game as they want? I think It was inevitable to fall from 20,000 after the huge trip to the moon a couple months ago. 165,000 BTC is roughly one percent of existing bitcoins in circulation. Depending on the schedule of the sales, that could cause a major disruption in the market. That's also four times the amount sold between last December and February. All of those bitcoins will probably hit the market in the course of 1-2 years. The price of STEEM and SBD are quite tightly coupled with the cryptocurrency market in general. What this information means is that STEEM and SBD will probably not go much higher anytime soon. Things are probably going to pick up after the Mt. Gox bitcoin sale is over. Just steem on for the next couple of years and do not worry. With Smart Media Tokens and other positive developments, the value of Steem the blockchain will likely continue going up in the coming years. It’s weird how this is older news but this is the first I’ve heard of it. I think the exchange ICO regulation talk be the SEC is more likely driving the market down. Thank You for upvoting me....I really appreciate it! So, when are we getting together with our pitchforks, torches and tubs of vaseline and hunting down everyone at Mt. Gox? How much is the rest of their holdings, just the 4,000 btc, or are there other "trustees" who will sell? Would they pay out the bitcoin they owe using $400/btc equivalents, or pay the bitcoins (worth $9,000-11,000)? Remember Mt Gox was investigated, and the large tier-one governments are likely involved with their secret agencies (who are ALSO in the news), so you shouln't rule out that these sales ALSO correlated with the big-central-powers authorizing the bitcoin futures. If a gov't wanted to suppress crypto, a coordinated attack led by some crypto-smart secret agencies is the way to go, no? I've heard about it yesterday. I appreciate your input. Bitcoin is a BIG messed up and all its forked. Looks like the price of bitcoin falls at the beginning of the year. It will go up again as it was before. Just it will take some time. The blockchain doesn't forget. That's the beauty of it. This is what makes the blockchain what it is. Beautiful. Yes but it doesn't prevent anything, it only documents. But that is exactly the point of it. A true free market. Central Banks prevent, Governments prevent, but the costs and repercussions are coming back to haunt them, they always do. The blockchain and related assets are guided by the market and will ebb and flow as a free market should. I agree with you about the major reason for fall was of holding major chunk of Bitcoins in short short period of time, but if we assume Mtgox did it to pay off its creditors they could have paid off in treches so that market may not be distrubed. i may be wrong here? Whats interesting is the part about the Japanese governemnt making them value the stolen bitcoin at the price they were when stolen as opposed to theprice today which the people who lost them think it should be. That is crazy interesting that Mt.Gox and it's aftermath can still sway the markets so strongly. 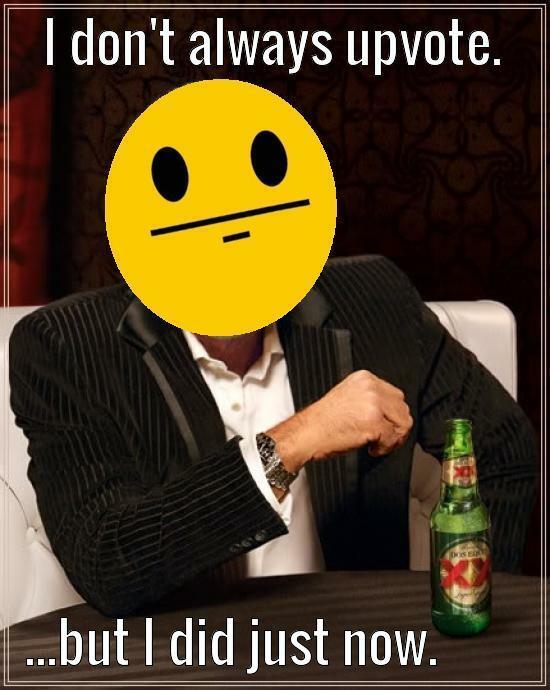 I wonder if Satoshi Nakamoto did much selling at all. He would probably have a much larger stake in bitcoin hey!? Interesting cryptocurrency report! I resteemed this post. I guess we are all hoping bitcoins rises. thanks for the info. When do you anticipate the rise? Thanks u sharing for a very good information , From your great article, you have gained some good information that has led to a decrease in the price of bitcoin ،And currency fluctuations. I'm honestly suprised someone's not kidnapped karpeles and bent him over with a flashlight to recover these coins... The dude is one of the biggest crooks this generation has seen..
Will bitcoin fall below $5000? Very good information to learn about the market manipulations of cryptocurrency. We must spread this to the fullest. If this is the reason for the drop, then it is not much of worries. Thanks for the analysis and post. I learn many information from this post. keep it. thanx bro. I think the sell the coin because they thought the price can fall to as low as $6000. Or maybe they invest the coin. Once the world’s biggest bitcoin exchange, the now-defunct Mt. Gox filed for bankruptcy in 2014 following the loss of an estimated 750,000 bitcoins. Former chief executive Mark Karpeles saw multiple charges including embezzlement. A sting at a Tokyo detention cell followed before an ongoing trial where Karpeles plead ‘not guilty’ to the charges. The bankruptcy estate’s bitcoin reserves currently stand at 166,344.35 BTC, approximately $1.7 billion. Kobayashi insists that he will look to raise additional cash from future sales of BTC and BCC in order to ultimately reimburse nearly 25,000 accepted claims from creditors. TA specialists must totally hate things like this, third party events which totally blew apart their (quickly) gathered knowledge of trading patterns. That awkward moment they have to admit that the cryptoshpere isn't as subjected to their wisdom as they wished. Great writing. imagine what will happen if satoshis hoard ever hits the market . Great information, thanks for sharing this wonderful information with have really learn some things from this post. I remember when all that happen with mt gox, some of us lost a lot when that took place and when i tried to log into my account it was missing, just vanished as if it didn't exist. This completely makes sense as a factor in being a reason for the drop in price of Bitcoin. I wonder if they will continue to flood the market with the remaining BTC in the trust or if they will wait for the price to recover some and head back upwards. I was also wondering why they wouldn’t just auction them off. They would’ve gotten a lot more in terms of dollars! Thanks for sharing this!! Wow this is some really good info. I bet you he coordinated with the Bitcoin futures to make money on the short. Is he not within his rights to sell off so much asset? Personally felt the pinch from this price shift but its a free market right? First time hearing it but it definitely seems plausible to me. After reading the trustnodes article that seems like an exact reason for a dip like we have seen. The reason the price has dropped is because it is a massive correction - the gains were insane in late 2017. Lots of people got in who had no clue about Bitcoin/blockchain and then got scared as soon as it started to fall.. this created a ripple where all this has been sold off..
@acidyo, thanks for sharing this! Could you maybe explain what Mt.Gox and this trustee ist and maybe tell the story behind. Maybe even make a series out of it like " Greates Stories/Scams in Cryptos"
Yeah offcourse when any whale starts solding its coin it will put impact on market. Thats may be the result of low bitcoin rate now. Great research!!! Was hoping this had less to do with the news from the SEC. Though, the news from the SEC does make me take a pause on the future of Crypto in the US. The Mt Gox lawyer/Trustee that is assigned to selling the Bitcoin per court order is doing it at the same time each day (most liquid time)....We're in this until he gets the amount he wants & seems to have a set amount for each day he's allowed to do. He refuses to do off market selling/auction so as not to affect the Bitcoin price. The fact that the market keeps trying to bounce back after such huge one time dumps is impressive (I day trade Bit so watching it 24/7 on my screen) but this could take us down a bit until he's done...It's good for the market to redistribute & lower the price but it's hard to watch & wait idle while this plays out...But at least we know what, when, how, etc. i see a little same post here --->> https://steemit.com/bitcoin/@danportocarrero/bearwhales-la-muerte-anunciada.